No insurance? 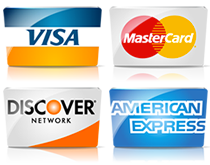 Need time to pay? Thinking about getting a new windshield? Think it's a hassle? Time consuming? Afraid of it leaking? Well, it isn’t with Auto Glass Discount. You get personal attention from the owner every time you call. With over 22 years of experience in replacing auto glass, you will feel safe having Auto Glass Discount doing the work for you. The most important part of all is the safe installation of your glass, whether it is the windshield or a door glass or even window motor. We take care in removing moldings and other essential parts so we may do a clean and neat installation. 1. Once we have acces to the windshield we use one of our advanced cutout tools appropriate for your particular vehicle and we proceed to remove the glass with absolutely no mess. 2. With the windsheild out, we must remove all the old urethane (glue adhesive) from the pinchweld , clean the surface and prime it so you get the best adhesion with the new urethane. 3. Once clean and primed we clean the windshield so that any smudges or oil off the hands of anyone who handled the glass is wiped free. Next we are ready to apply the urethane to the pinchweld with our power assisted caulk gun which provides a perfect bead of urethane, not too much and not too little, just like from the factory. 4. Finally, we put on nitrile gloves so no oil or dirt can contaminate the glass and we lay the windshield into the bed of urethane and gently tap it into the urethane so that it is set without any air pockets. There you have it, a perfect, water proof installation. After replacing all the parts, (no extras laying around of course) the technician walks around the vehicle to make sure there isn’t any glue or primer on the vehicle and all garbage is cleaned up. 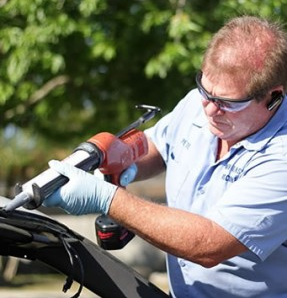 We have been replacing and repairing windshields since 1989 and take pride in our customer service and our "Customers Come First" motto. Only the highest quality glass is used. All glass meets federal safety standards and has a lifetime warranty against leaking. Fast, Same Day Mobile Service. 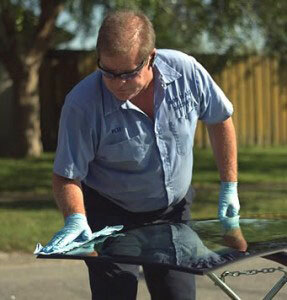 Our guarantee to you is that once we have replaced your windshield it is leak proof for life. Even if you move to another city or state you’re covered. It’s backed by over 22 years in business. We respond to your needs immediately. We come to our customers on site throughout Hillsborough County, including Fish Hawk, Dover, Ybor City, Appolo Beach, Tampa, and Plant City. Proudly serving: Tampa Bay Area, Brandon, Riverview, Valrico, Apollo Beach, Sun City Center, South Tampa, Carrollwood, Dover, Ybor City, Plant City, Fish Hawk for over 20 years.